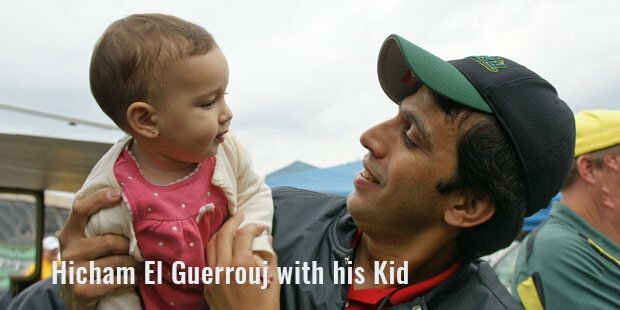 Hicham El Guerrouj was born on September 14, 1974 at Berkan, Morocco. He was interested in running from a very young age itself. But in a country where sport is not encouraged, Hicham’s talent was under the covers for a long time. 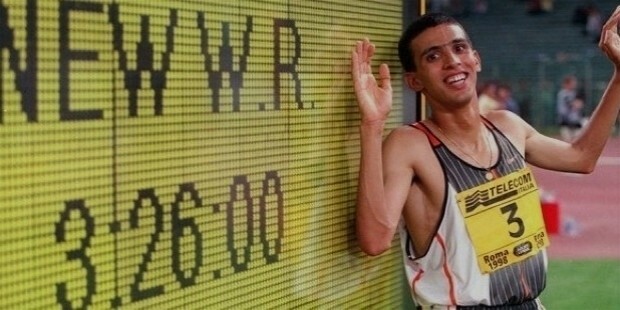 But with his dazzling speed in the 1500m, he was directly selected into the Morocco junior athletic team. Here he began his first proper training at the age of 16, in the year 1990. He had started pretty late in his career, but his talent and hard work would help him reach great heights in the future. His first international success was at the 1992 World Championships at Seoul. He was able to come 3rd in the 5000m at the age of 18 itself. 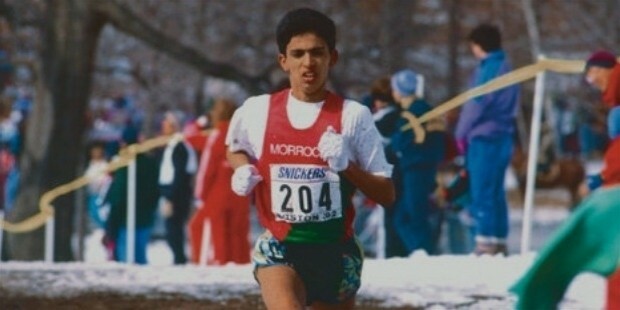 At the 1994 IAAF World Road Race Relay, he was part of the Moroccan team that set the World Record to win the title against huge odds. 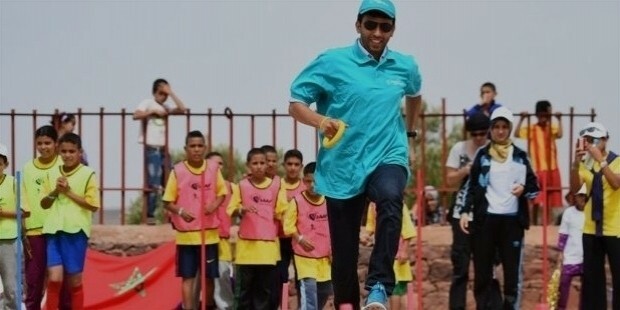 Now El Guerrouj and his teammates, had made Morocco popular in the field of sports. In 1995, he finished 2nd in the 1500m at the 1995 World Championships. For one who had started professional training just 4 years back, this was a great achievement. The 1500m was his favorite event and in 1995, he had set near-record times in both the 1500m and the Mile. At the 1996 Atlanta Olympics, he was the favorite to win the Gold in the 1500m. In the finals of 1500m, he slipped and fell with just 400m remaining, thus breaking a country’s hope for a Gold medal. This was the biggest disappointment of the 1996 Olympics, now instead of losing his competitive spirit, he become stronger and began practicing harder. In the beginning of 1997, he set two indoor records both in the Mile and the 1500m. But in 1998, he went on to break the World record in the outdoor 1500m with a timing of 3:26.00. In 1999, he went on to create World records over the 2000m and 3000m distances. 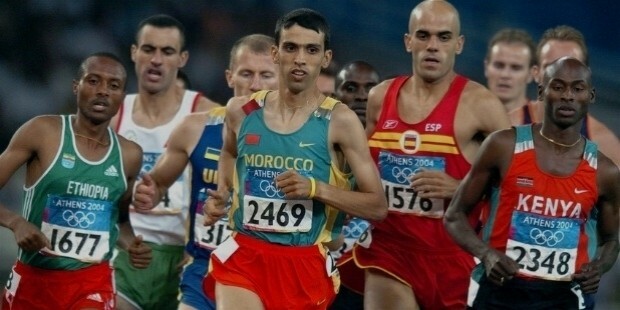 This lad from Morocco was turning out to be one of the greatest middle distance runners of all-time. 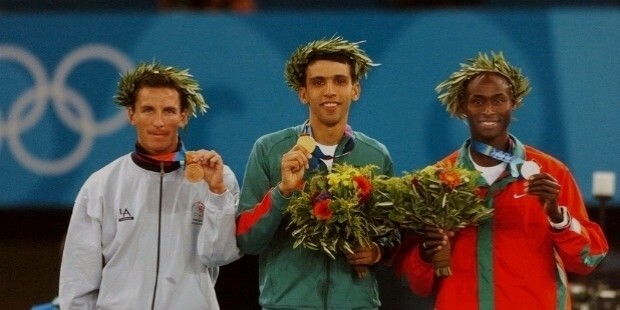 Again at the 2000 Sydney Olympics, there were great expectations on El Guerrouj but he was only able to come second behind Noah Ngeny of Kenya, to take the Silver medal. At the 2004 Athens Olympics, he was competing in the 1500m and 5000m. This was the last chance that had to win Gold as he was already at the end of his career. He went on to win the 1500m by beating his opponent by a margin of just 0.12 seconds. After so many years he had fulfilled his country’s dream. 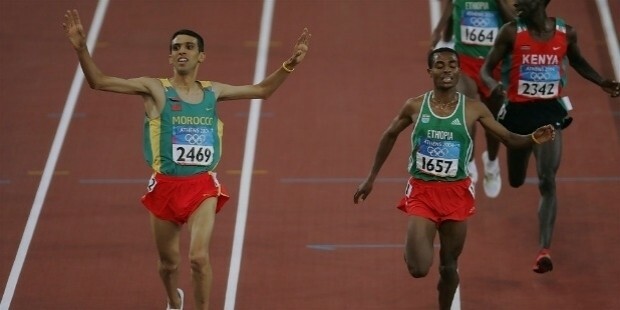 But he also went on to win the 5000m Gold by beating overwhelming favorite Kenenisa Bekele with a time of 13:14.39. He had thus become the only person to win both the 1500m and 5000m in the same Olympics in 80 years, previously accomplished by the legendary Paavo Nurmi. He has been one of the most accomplished athletes of the 20th century. 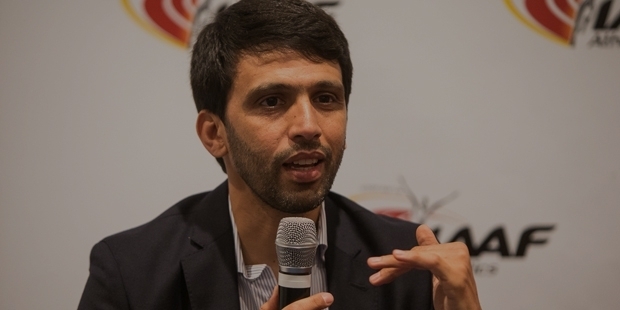 He was able to win the World Championships in the 1500m in 1997, 1999, 2001 and 2003. He has been the only one to win the IAAF Golden League Jackpot Prize of $1 million for three years in a row from 2001-2003. He has been named the IAAF Athlete of the year for the years 2001, 2002 and 2003 for his 20 race unbeaten streak. He is without a doubt one of the most dominant athletes of the 20th century. His success and fame have made him and his country immensely popular throughout the world.